Our Peruvian Pangoa coffee has been one of our best sellers from the start, and today we have sent it out with a new label. 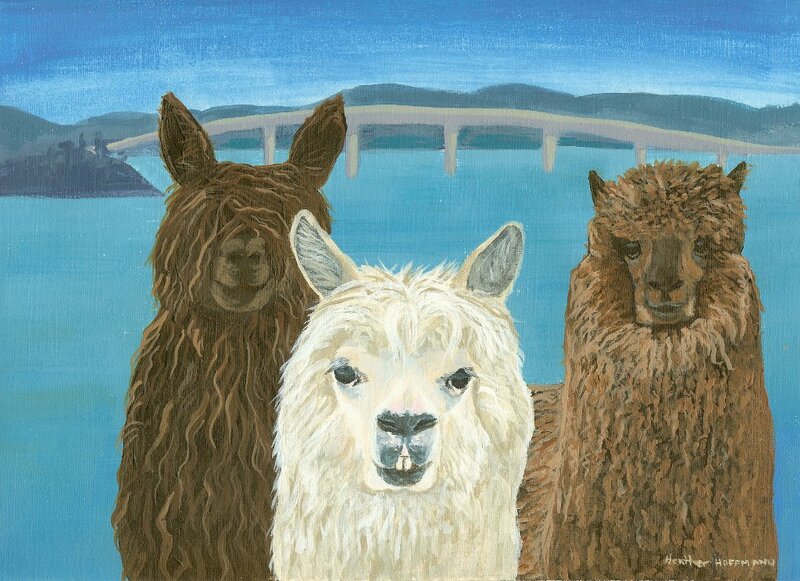 Alpacas, native to the South American Andes, but no strangers to this neck of the woods, are irresistible to me with their punk “hair” styles and soft fibre-y locks. 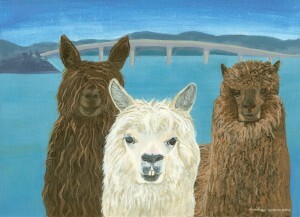 I decided to paint a picture of these three alpacas posing in front of the St. Joseph Island bridge. It appears as though they are taking a break after delivering a load of green beans to us. We thought they would be right at home on our Peru Pangoa coffee label. Enjoy!